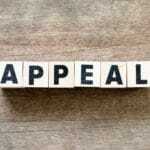 When Can You File a Criminal Appeal? Being convicted of a crime is a serious and even scary thing. One your case is over and the judge has handed down a sentence, this doesn’t necessarily mean you have lost your chance to change the outcome of your case. You may still be able to file a criminal appeal, which could result in your conviction being overturned. However, it’s important to note that it is much easier to defend your case at trial rather than waiting until the appeal stage. This is why it’s important for individuals accused of crimes to contact an experienced criminal defense lawyer as soon as possible. If you have already been convicted, you should speak to a knowledgeable Texas criminal appeals lawyer. Appellate cases are much different than trial cases, and it takes a lawyer with appeals experience to properly represent you and your rights in court. 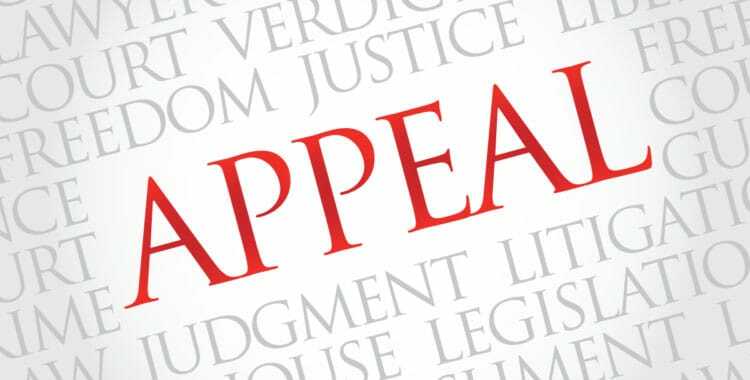 Usually, in order to pursue an appeal, the defendant must file a “notice of appeal” within a few weeks after sentencing. The exact time period varies by jurisdiction. Contrary to popular belief, individuals, don’t always have an automatic right to a criminal appeal. When a person pleads guilty at the trial level, they must typically receive permission from the appellate court to proceed with an appeal. In cases in which the person did not plead guilty, however, there is an absolute right to file a criminal appeal. Additionally, in states with the death penalty, defendants have an automatic right to appeal their conviction. Just because you file an appeal, however, doesn’t mean the appeals court has to hear the case. Defendants must satisfy a threshold to get their case before the appeals court. This threshold is referred to as the “grounds for appeal.” The most common ground for is that the lower court abused its discretion when ruling on a contested issue. In criminal appeals, plain error is distinguishable from harmless error. A harmless error is some kind of mistake or irregularity that doesn’t affect the defendant’s rights or the outcome of the case. By contrast, a plain error is an error so severe that it undermines confidence in the criminal justice system and may be raised even when the defendant’s lawyer failed to raise the issue at the trial court level. Jury misconduct can also be sufficient grounds for an appeal. There are many different types of juror misconduct that can give rise to an appeal. For example, a juror who lies during voir dire — the process by which a jury is selected and seated in a trial — could unfairly prejudice the defendant’s case. Another type of juror misconduct occurs when a juror considers evidence that he or she was asked to disregard. Jurors are also required to follow the court’s rules, such as staying away from an accident scene or refraining from discussing the case with a friend or spouse. Typically, the appeals court will look at everything in the trial case to determine if the trial court abused its discretion. The appeals court will consider all of the evidence admitted, the transcript of the proceedings, and the various motions and pleadings filed in the case. To raise ineffective assistance of counsel as grounds for an appeal, you must show some kind of proof that your lawyer’s mistakes or incompetence influenced the outcome of your case. In other words, it’s not enough to simply dislike your lawyer. You must be able to show that your lawyer acted unprofessionally, made mistakes that prejudiced your case, or failed to respond to you or make regular contact with you during your trial. You can also try to show ineffective assistance of counsel by offering evidence that your lawyer misinterpreted the law or some aspect of your defense. In some cases, court transcripts show evidence of this, such as when an opposing counsel or the judge points out the lawyer’s mistake or confusion. 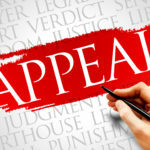 However, usually ineffective of assistance of counsel claims must be brought in a petition for a writ of habeas corpus, which is proceeding, although often confused with an appeal by non-lawyers, is, in fact, a distinct legal proceeding from an appeal. It usually best to consider filing a petition of writ of habeas corpus after the appellate proceeding is complete. Both Clint Broden and Mick Mickelsen have extensive experience representing individuals on appeal. In 2011, the Texas Board Legal Specialization allowed for attorneys to become certified in criminal appeals. 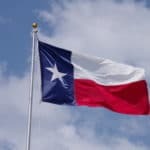 Not only were Clint Broden and Mick Mickelsen in that first group to be certified, the firm has decades of experience representing clients on appeal in federal and Texas courts around the country. Learn more about being board certified in criminal appellate law. Appeals courts sometimes publish their opinions. The following cases are published cases, available in all law libraries, in which either one of our attorneys was the attorney of record. There are also numerous cases in which Broden & Mickelsen represented an individual on appeal where the opinions were not published.